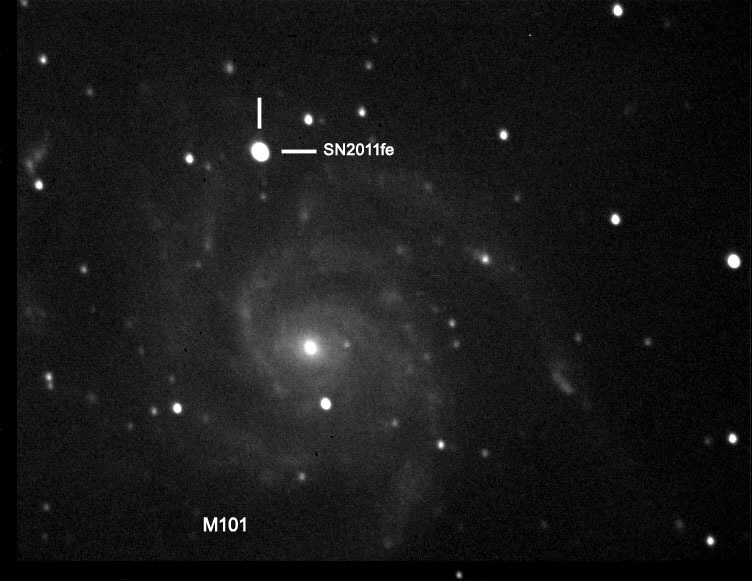 With more notice then most supernova, SN2011fe, a quick trip to the observatory allowed me to capture a visual image and spectrograph of the supernova early in the evening, before high altitude clouds started obscuring observations. SN2011fe can clearly be seen to outshine the core of its own galaxy. A quick glance at the the spectrograph shows the classic set of emission and blue shifted absorption lines typical of a Type II supernoba.